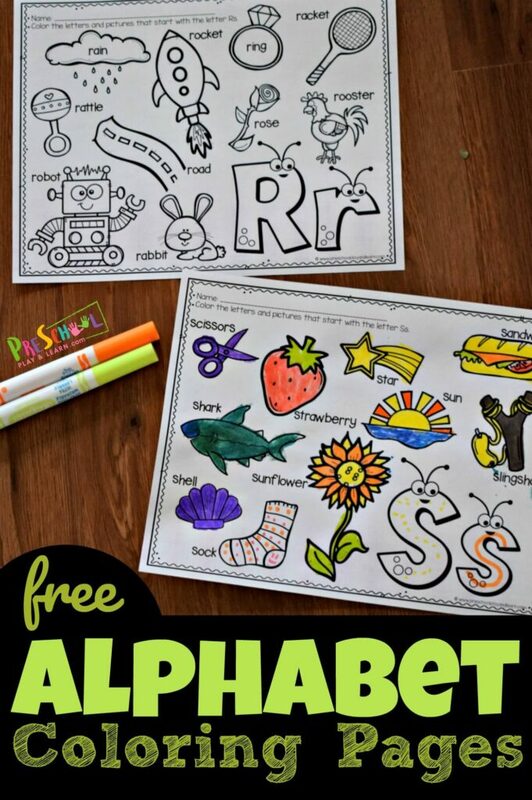 This FREE Rainbow Color Matching Printable is such a fun way for kids to practice learning colors for toddler, preschool, prek, and kindergarten age kids while making a beautiful spring rainbow craft. 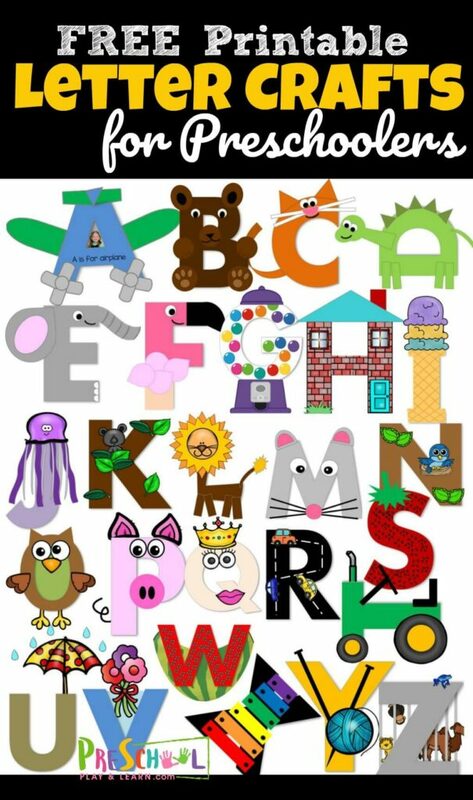 I love simple preschool activities that are educational and FUN! 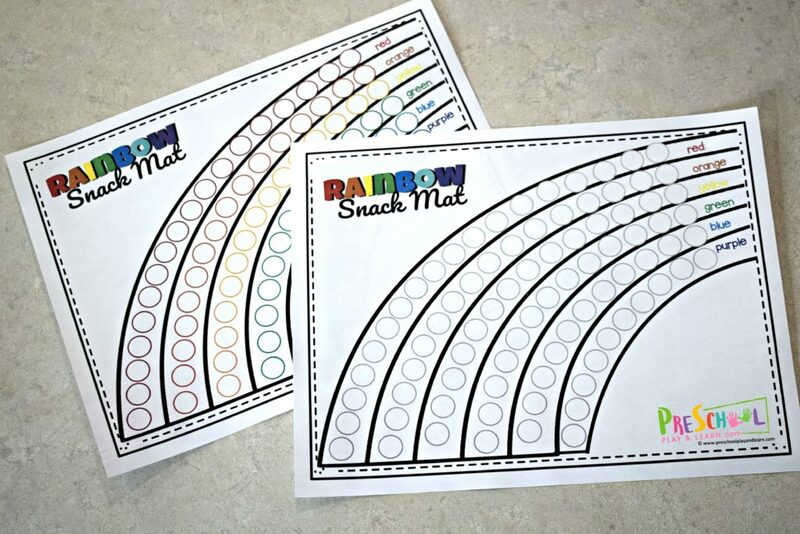 This free printable rainbow snack mat helps kids learning colors to build a beautiful rainbow while matching colors and strengthening fine motor skills at the same time. 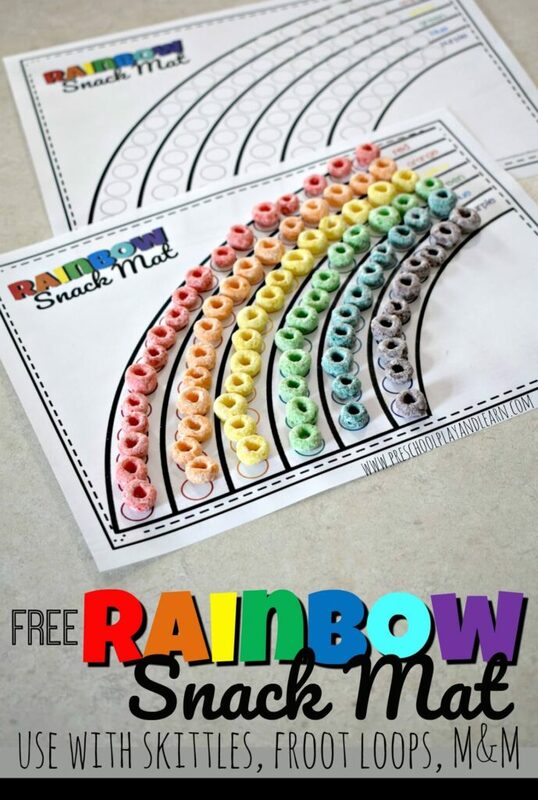 These free rainbow printables are a fun, NO PREP rainbow activity to help toddler, preschool, prek, and kindergarten age kids practice color recognition. 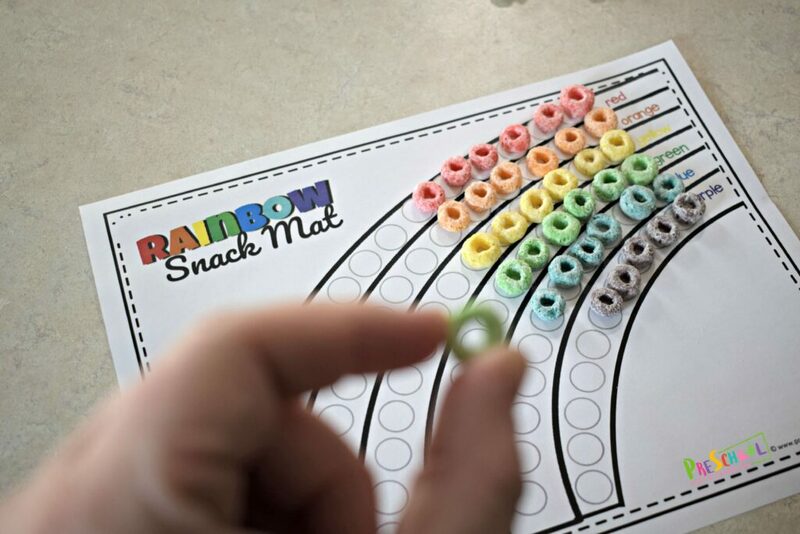 Set out this rainbow snack mat to use with fruit loops, skittles, M&Ms, crayons, bingo markers, circle stickers, or another colorful manipulative perfect for a rainbow theme this spring. There are two different options. Option one is mostly black and white with just the colors listed on the edge of the rainbow. 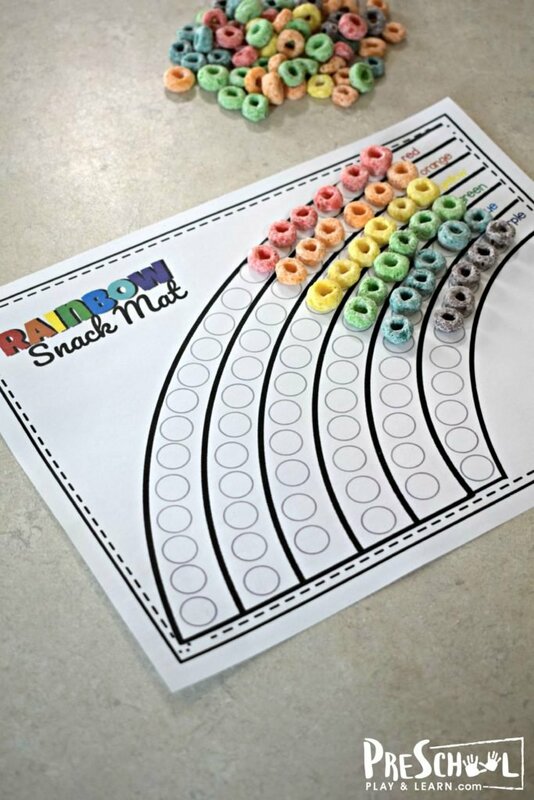 Option 2 has each circle outlined in the correct color for an easier option. 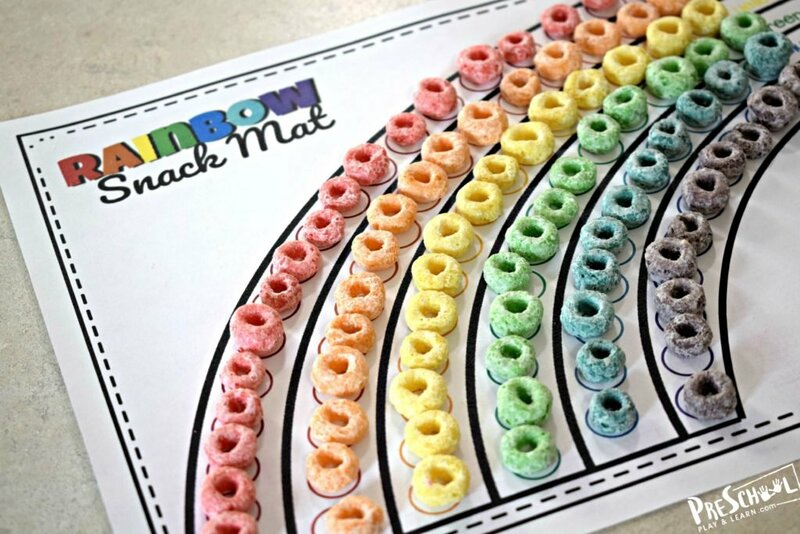 This fun fruit loops activity is a fun way to practice one to one correspondence – an important skill for early math. 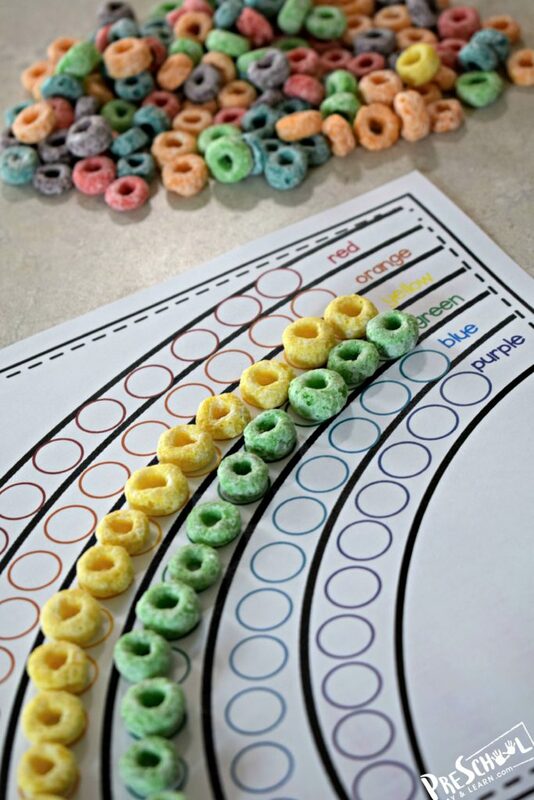 We like to use these as a fun color recognition activity using fruit loops. 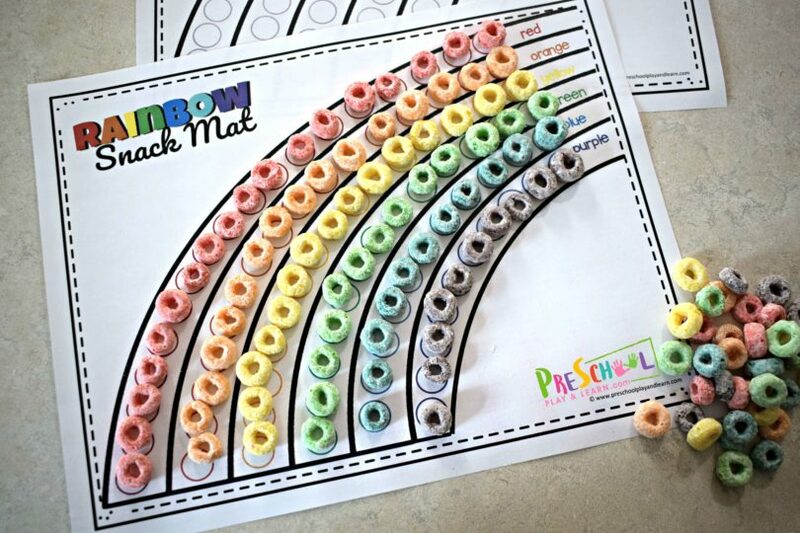 My preschoolers practice building a rainbow using the free printable and fruit loops. 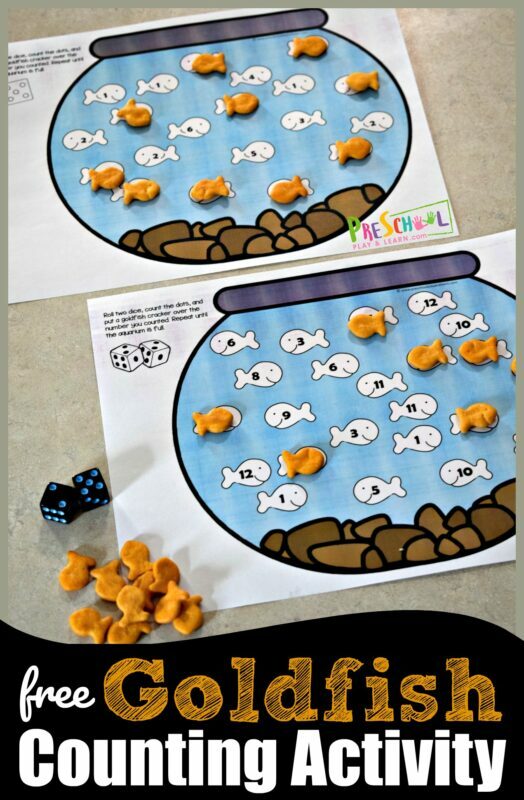 This is also great for practicing pincher and fine motor skills. At the end, I let them eat their snack.